Having a Job and making career in aviation is a dream for many young people, but it is essential to have training as a prerequisite for having the chance of getting hired, such training must be taught by experienced trainers with a very sharp knowledge within this field. 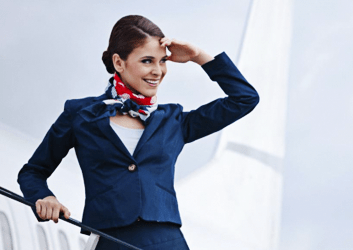 If you have dreamed of being among the best, please contact Infohas as the Institute since its existence has trained thousands of graduates who won a career as a flight attendants, Ground Staffs, Customer service’s agents, etc…..
in the most prestigious international companies. Get ready with Infohas; as at the end of your training, you will have an accredited degree, which will give you a recognition for your skills and training worldwide. Aviation and hospitality industries evolve with the world development and technologies. Nowadays, aircraft and hotels accommodate and attract more clients from around the world whether for business or leisure, as travellers visit new cities and countries, even in remote regions. All of this leads to increasing the revenue of the aviation and hospitality industries. This vast of increment is linked directly to raise the workforce needs for covering the both industry’s requirements. Here starts the beneficial role of specialized training centers to meet the need of those sectors and providing requisite skilled employees. Hence the aerospace and hospitality industries are enormous and continue to grow. According to the IATA report on passenger forecasts, the number of passengers is expected to reach 7.3 billion by 2034. Furthermore, as per Statista the hospitality industry is among the fastest growing sectors too, as the global hotel industry reached 550 billion US $ in 2016. Market growth is driven by rising demand, increasing average room rates, higher occupancy levels, and overall tourism industry growth including growth in leisure travel that is becoming increasingly affordable. These figures clearly show that both sectors will have a higher demand for skilled workers to manage various career profiles at national and international airports, airlines, hotels and hospitality companies. 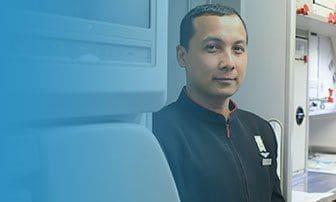 The institute makes all necessary procedures (mails, faxes, contacts…) with airlines to help our laureates to integrate into professional life immediately after graduation from our Institute. At present, most foreign airlines, airport, hotels come to our Institute to select and recruit their staff.